AUBURN, Ala. (EETV)- No. 15 Auburn baseball clenched the doubleheader against the Cincinnati Bearcats. The key performer of the day was pitcher Jack Owen who earned a career high in strikeouts and his first weekend start. 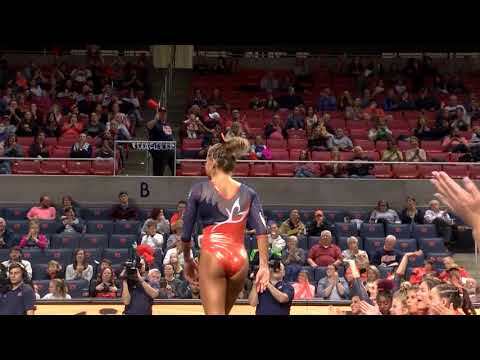 Auburn Gymnastics had a record breaking meet against the Arkansas Razorbacks on Friday, Feb. 15. It was a night of several firsts for the number 11 ranked Tigers. Confidence and consistency got the team their fifth SEC win of the season, a season high score of 197.100, a program high bars score of 49.600 and a season high vault score of 49.325. AUBURN, Ala (EETV)- After 13 innings Georgia Southern defeated the Auburn Tigers by a score of 7-5. AUBURN, Ala- Auburn Gymnastics defeated Georgia with a final score of 196.775. With a sold-out Auburn Arena, The Tigers fed off the adrenaline of the crowd. Top performances came from junior Gracie Day who had a top score in bars (9.875) and vault (9.900), and Derrian Gobourne who also had a successful night. Gobourne won in all around ( 39.375) and floor exercise (9.950). To top it all off the freshman earned a perfect 10 on her floor routine by one of the judges. For the Bulldogs top scorers were Sabrina Vega (balance beam, 9.925) and Sydney Snead (second in all around, 39.350.) The Bulldogs finished the meet falling behind Auburn with an overall score of 196.400. Auburn's Drew Watson came in second behind Gobourne in all around score of 39.175. The Auburn Tigers will compete against the Kentucky Wildcats in Lexington on Friday, February 1st at 6 p.m. CDT. Auburn, Alabama (EETV)- Carnell 'Cadillac' Williams was officially named Auburn Football's running back coach yesterday. 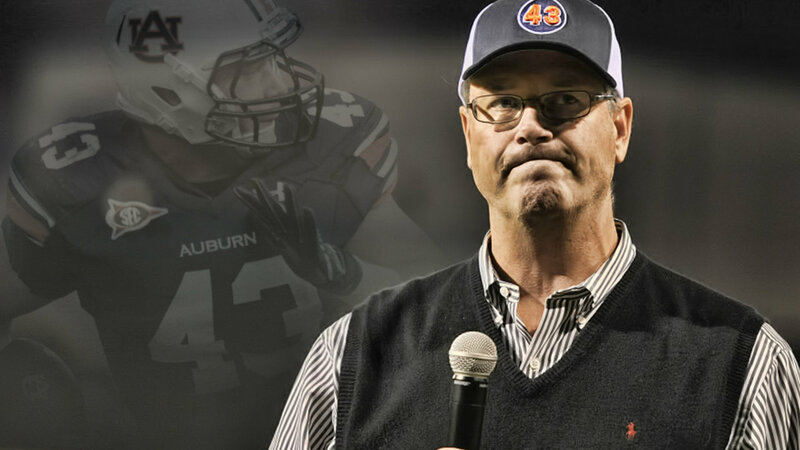 Williams has an impressive record as a former NFL player, and his Auburn career helped the Auburn Tigers have an undefeated season in 2004, as well as six straight Iron Bowl wins against Alabama. Williams record breaking Auburn career was from 2001-2004. He had a total of 3,831 yards rushing, 741 attempts and 45 touchdowns. Head Coach Gus Malzahn released a statement to fans Wednesday about Williams coaching for the upcoming season: “Carnell Williams is one of Auburn’s all-time greats and we’re excited to welcome him home,” Malzahn said. “Cadillac is a great fit for our program. He understands and cares deeply for this university and the Auburn football program, while bringing a great knowledge of the game. He knows first-hand what it takes to be a successful running back at the highest level and has a tremendous work ethic. We’re glad to have him at Auburn and know he will be a great coach and mentor to our running backs.” The former NFL player was the overall fifth pick in the 2005 draft by the Tampa Buccaneers. Williams was named Rookie of the Year, and he spent six seasons at Tampa. In 2011 he finished his final season in the NFL with the St. Louis Rams. Williams' coaching experience includes: Henderson State (2015), University of West Georgia (2016), IMG Academy (2016-2017) and more recently for Birmingham Iron of the Alliance of American Football (AAF). “I’m ecstatic, super excited and humbled to have the opportunity to return home to Auburn and coach at a place that helped me become the man I am today,” Williams said. “I’m very grateful and appreciative of Coach Malzahn, the staff and the Auburn administration for this opportunity. Words can’t explain the emotions I had when I received the offer from Coach Malzahn. Cadillac hit the road early this morning to begin recruiting for the Auburn Tigers. He shared via Twitter that, "It's official, first of many trips recruiting for the Auburn Tigers. Can't wait to tell guys about the Auburn way! #War Eagle." 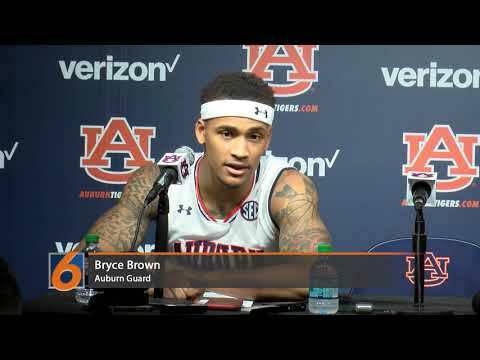 Auburn, Alabama (EETV)- Auburn Basketball took on the UNC Ashville Bulldogs Tuesday Night in Auburn Arena. The Tigers came into the game ranked eighth and a 6-1 record to start the season. At halftime, the score was 33-18, but the Tigers were struggling to make some shots. Austin Wiley led the team with 8 and Jared Harper both added 6. The Tigers came out more explosive in the second half as the went on to win by a final score of 67-41. Austin Wiley had 14 points on the night and Samir Doughty had 13. Wiley said, "We didn't play our best basketball, and coach says we can't play down to our opponent." The Tigers shot 47.9 percent and were only 9-23 on three-point attempts. With the win Auburn improves to 7-1 and will face the Dayton Flyers on Saturday at 7 PM in Auburn Arena. AUBURN, Ala (EETV)- The #11 ranked Auburn Tigers defeated #25 Washington Huskies tonight in the Auburn Arena. AUBURN, Ala. (EETV)- It has been a long time coming for point-guard Derrick Rose. With knee injuries affecting most of his NBA career, October 31st was a historic night for the 2011 MVP. 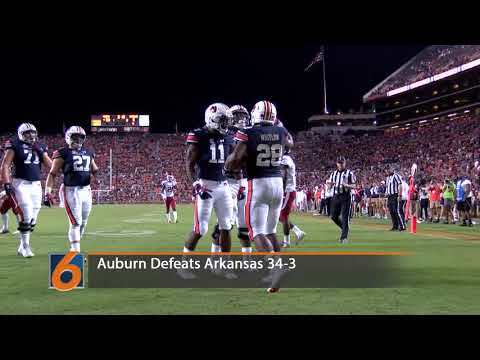 AUBURN, Ala. (EETV) - The Auburn Tigers bounced back tonight after winning their first SEC game of the season. Auburn beat the Arkansas Razorbacks 34-3, but offensively it was not the Tigers' best game. AUBURN, AL (EETV)- The nonprofit organization Keep Opelika Beautiful will hold its citywide cleanup on Saturday, March 3. New Spring 2018 Course Focuses on Dr. Martin Luther King Jr.
AUBURN, Ala. (EETV)- The College of Liberal Arts will be offering a new course this upcoming spring semester that allows students to study the works, activism and nonviolence movements of Dr. Martin Luther King, Jr.
Students can now have food delivered to them from RBD. AUBURN, Ala. (EETV) Everyone get ready for the university's annual pumpkin carving contest. Jordan Peele new film "Us"